With a week in East Hampton, where should my guests go? My brother and sister-in-law are using my East Hampton cottage for a week. He wants your restaurants suggestions. It's their 20th anniversary so suggest some special places. They are omnivores. Nick and Toni’s (136 North Main Street, East Hampton, 631 324 3550) is the legendary media and power hangout, very expensive, caters to regulars. I wouldn’t try to crash in on a weekend unless you’ve been nominated for at least two Oscars or a National Book Award. Last time we went the food was wildly expensive and off that night. The combination has kept us away for a while but fussy food lovers I know still put it high on their lists. Given the financial fallout, you might score a table. 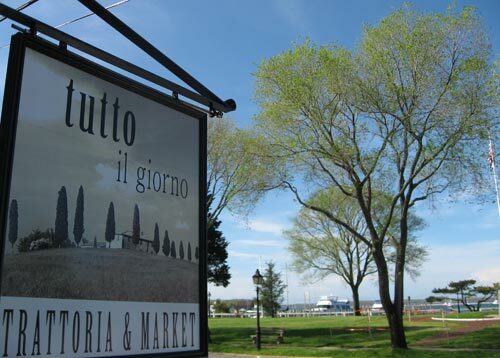 I like Tutto Il Giorno (6 Bay Street, Sag Harbor, 631 725 7009) in Sag Harber – half the fun of a week in East Hampton is exploring Sag and Bridge, Amagansett and Montauk. Tutto is perhaps not as fine as it was with Scott Conant overlooking but it’s still good. The garden would be perfect for a romantic celebration. Friends love the Palm (94 Main Street, East Hampton, 631 324 0411) and if you know Tomas, you are guaranteed an effusive welcome. But how far ahead do they cook those lobsters to get that linoleum finish? Steak is the answer. We like Rowdy Hall (10 Main Street, Suite B, East Hampton, 631 324 8555) for a good burger and a salad after the movie in East Hampton. Off-season the Paradise Café (410 Neighborhood Road, Mastic Beach 631 657 3331), our pre-movie retreat in Sag, will serve their juicy big burger at a table, but only at the bar come summer. Friends in Southampton like Sant’Ambroeus’ (30 Main Street, Suite A, South Hampton, 631 283 1233) outside for lunch or mid-afternoon treats. For breakfast, The Golden Pear (2426 Montauk Highway, Bridgehampton, 631 537 1100) in Bridgehampton or Babette’s (66 Newtown Lane, East Hampton, 631 329 5377) a favorite for salads and healthy food, or at least food that looks healthy. Try for a sidewalk tables. I’d check out what Eli Zabar is up to at the Amagansett Farmer’s Market (367 Main Street, Amagansett, 631 267 3894). You might pick up sandwiches or breads and spreads for your beach picnic. 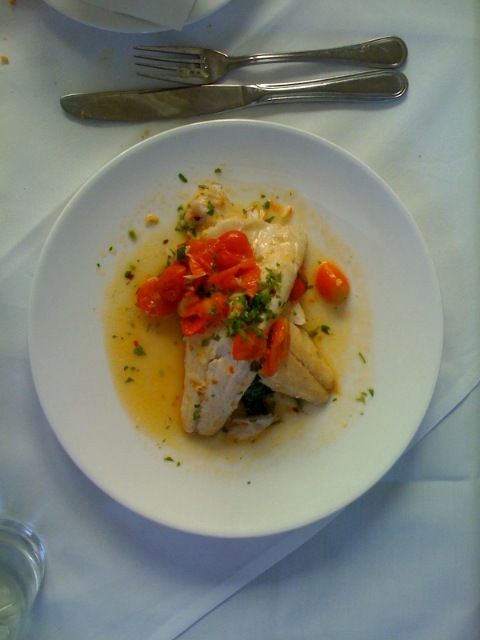 Friends love the Montauk Yacht Club (32 Star Island Road, Montauk, 631 668 3100) for lunch (especially with children). Everyone will say you have to go to Lunch (1980 Montauk Highway East, Amagansett, 631 267 3740) on the Montauk highway for the lobster roll and maybe you do – just to see what they’re up to this year. I remember hating the shredded bits and celery chunks last time but who knows... cheaper lobsters might have fixed that. I prefer the lobster rolls outdoors overlooking the bay at Duryea’s Lobster Deck (65 Tuthill Road, Montauk, 631 668 2410). For the aristocrat of lobster rolls, you need to take two ferries from Sag Harbor and a very short drive to Southold at North Fork Table (57225 Main Rd, Southold, 631 765 0177). It’s the perfect retreat on a drizzly day. It’s probably too late to get a table any summer weekend night at North Fork Table but it’s worth a try. Tell them it’s your 20th and you want to celebrate with Gerry Hayden’s food and ex-Gramercy Tavern pastry legend Claudia Fleming’s classic desserts.